“In July 1835, Joseph Smith purchased a portion of a collection of papyri and mummies that had been discovered in Egypt and brought to the United States. Believing that one of the papyrus rolls contained, ‘the writings of Abraham while he was in Egypt,’ and ‘purportedly written by his own hand, upon papyrus,’ Joseph commenced a translation. The Book of Abraham was the result of his work.” The Book of Abraham comprises only part of the Pearl of Great Price, which also contains writings of Moses received by revelation when Joseph Smith was working on a translation of the Bible, the Articles of Faith, and Joseph Smith History. It is possible that the text was written by Abraham and passed down through other ancient scribes, or that the writer himself was a scribe who recorded oral history passed down from Abraham. It is also possible that Joseph Smith received some information through revelation. 22. Why does the Book of Abraham, chapters 4 & 5 contradict Alma 11 in stating that there is more than one God? In the Book of Abraham, it says, “And then the Lord said: Let us go down. And they went down at the beginning, and they, that is the Gods organized and formed the heavens and the earth.” The “Gods” are God the Father and His Son, Jesus Christ, through whom all of God’s creations were and are made. Christ is also called “The Word,” and is called by Heavenly Father “the Word of My Power.” All Christians believe this. Christ can also be called the Eternal Father, because all who are saved are His children, and He is eternal. Both passages refer to God the Father and His Son, Jesus Christ. Men are judged according to the knowledge they have received and the covenants that they have made. Sinning against knowledge brings greater condemnation. In Doctrine and Covenants 42, the Lord is speaking to baptized members of the Church, who have received knowledge of the doctrines of Christ and covenanted to take upon themselves His holy name. In the Book of Mormon quote, the Lord is speaking to the Gentiles, whom He is calling out of the world. 24. If the Adam-God doctrine isn’t true, how come Doctrine and Covenants 27:11 calls Adam the Ancient of Days, which is clearly a title for God in Daniel chapter 7? “The critics are also perhaps too confident in their ability to definitively interpret an isolated verse of scripture. This section of Daniel is written in Aramaic, while the rest of the Old Testament is in Hebrew. The phrase translated “Ancient of Days” (attiq yômîn) as one non-LDS source notes, “in reference to God…is unprecedented in the Hebrew texts.” Thus, reading this phrase as referring to God (and, in the critics’ reading, only God) relies on parallels from Canaanite myth and Baal imagery in, for example, the Ugaritic texts. 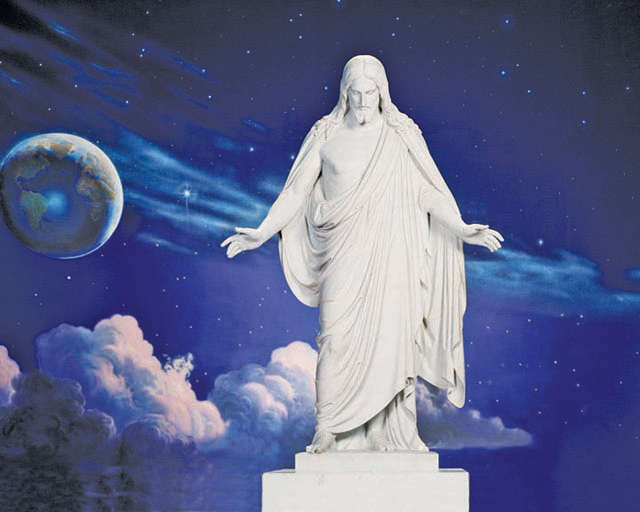 Latter-day Saints are pleased to have a more expanded view through the addition of revelatory insights (FairLDS.org).” Adam is called “The Ancient of Days,” because he is the first man, first prophet, and the oldest of all. In the Book of Mormon, the Lord explains that many “plain and precious things” have been taken from the Bible, but that doesn’t mean it has no value. Mormons study the Bible constantly. The Book of Mormon does not quote the Bible extensively, however. 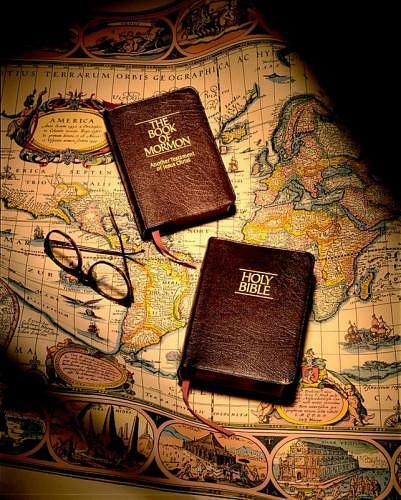 The original Book of Mormon peoples left Jerusalem in 600 B.C., just before the Babylonians destroyed the city. They longed for their homeland all the days of their lives. Nephi quoted long passages from Isaiah that promised a return, a gathering of Israel in the last days. The “Nephites” had brought “Old Testament” scriptures with them, including Isaiah. Then, after His resurrection, Jesus Christ visited the Book of Mormon peoples, taught and blessed them, and organized His Church among them. He gave them the equivalent of the Sermon on the Mount and other counsel nearly identical to the sermons He gave in the Holy Land. These with the quotes from Isaiah constitute a very small part of the Book of Mormon. Do current readers of the Bible condemn the Bible, because new translations read like current English? In actuality, only the Isaiah text in the Book of Mormon reads like the KJV (which is what was familiar to Joseph Smith), and that is less than 2 ½ % of the book. The rest of the book is much easier to read than the King James Version. 29. Since the Word of Wisdom teaches us to abstain from alcohol, why did Paul encourage Timothy to drink wine for his stomach? The Word of Wisdom was given by revelation in 1833, “in consequence of evils and designs which do and will exist in the hearts of conspiring men in the last days” (Doctrine and Covenants 89:4). It proscribes the use of alcohol, tobacco, coffee, and tea. Before water was safe to drink in the United States, people used to add alcohol to disinfect it. In Paul’s day, wine (which contained much less alcohol than it usually does today) was safer than water to drink. “New wine” was simply fruit juice. Taking it for the stomach was the science of the day. 30. If obeying the Word of Wisdom ─ which tells us to abstain from caffeine, alcohol, and tobacco ─ is important for our exaltation, why did Jesus say that there is nothing that can enter a man to make him defiled (Mark 7:15)? First of all, the Word of Wisdom makes no mention of caffeine. Modern science has identified it as one of the harmful substances in coffee and tea. This science was not available at the time the revelation was given. It is disobedience that defiles a man. However, Latter-day Saints do whatever they can to retain the constant companionship of the Holy Ghost, and corrupting the body (which is a “temple”) can cause the Spirit to depart. Drunkenness often leads to sin, and the agency of man can be compromised by addictions.